The SERT team was searching for Michael Alan Silka. Silka had killed a man named Roger Culp two months earlier. 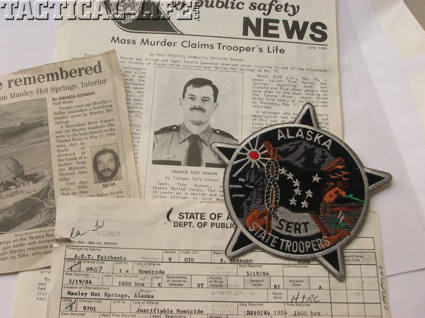 The prior day, May 18, 1984, Silka had also killed six residents of Manley Hot Springs; his victims included a two- year-old boy, a pregnant woman, and four men. He also killed a trapper, Fred Burke, who had the misfortune of encountering Silka while traveling down the river. Silka was also suspected of killing two women in Canada and a man in North Dakota, and two passengers seen in his vehicle were never located. Silka had camped at Manley, waiting for the ice to go out on the river. His plan was to become a trapper in the wilderness west of Denali National Park. We had been searching for Silka since 0300 that morning. The troopers had sent several fixed wings and two helicopters to search an area of 50,000 square miles. Silka was believed to have gone up the Tanana River to the Zitziana (the “Zit”) River; his plan was to go up the Zit to establish a trapping cabin. One complication we encountered was the recent opening of the spring bear season; the normally empty area was full of hunters, all of whom had to be identified and cleared. We had spent the day landing near hunting camps and flying the rivers, looking for Silka’s canoe. Two Fish and Wildlife troopers had spotted his canoe 30 miles from Manley, headed up the Zit. 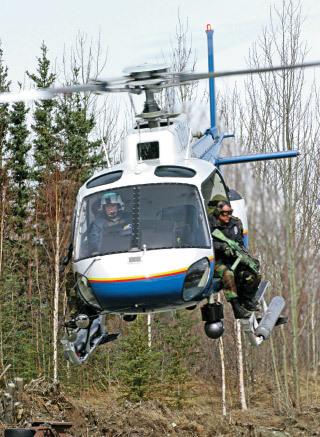 The Bell Jet Ranger lifted off the grass of the runway at Manley Hot Springs, Alaska. Tom Davis, the pilot, was a two-tour Vietnam combat pilot. Captain Don Lawrence, the “E” detachment commander, sat in the right rear. The left-side doors of the helicopter had been removed. Trooper Troy Duncan sat in the left rear seat, feet on the skid, facing outboard, and I was in the left front, similarly seated. We both wore seat harnesses and were tethered to a hard point on the floor. Troy was armed with a Colt M16A1 with a Colt 3X scope; I had an M16A1 with iron sights. Both guns held 20-round magazines loaded with tracer rounds. We also carried two handguns each and the usual S.W.A.T. team gear. 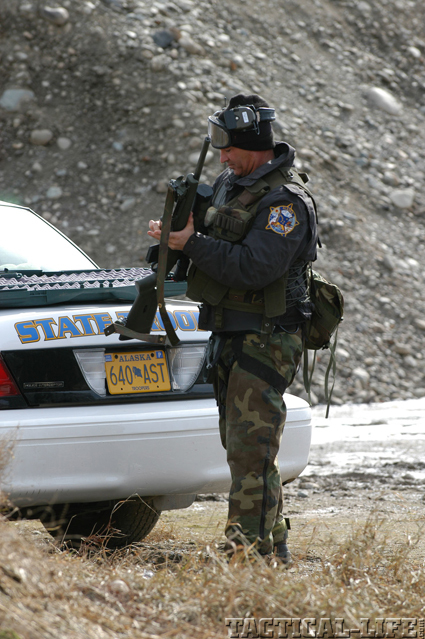 The second helicopter carried Trooper Dave Hamilton and Lieutenant John Meyers, the SERT team leader. 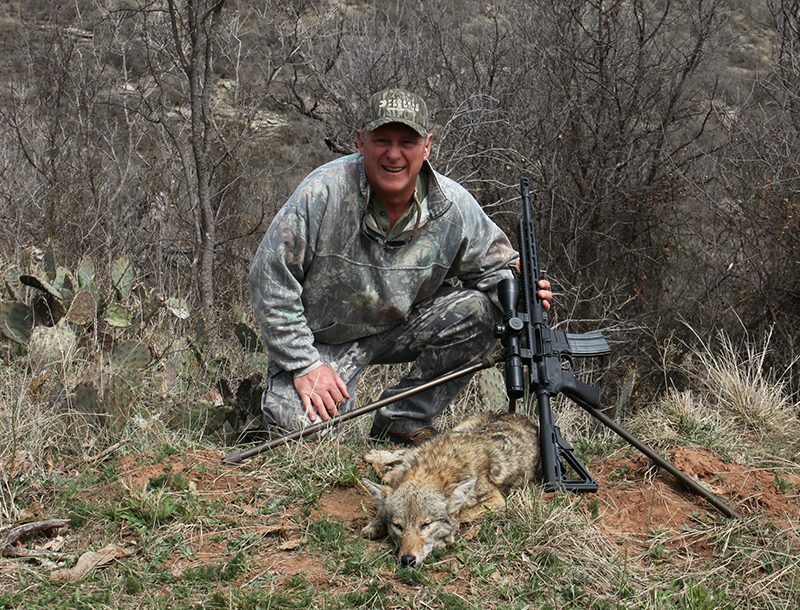 Dave carried a Steyr SSG with a 6X scope. The Lt. had an M16. A plan is just a list of things that aren’t going to happen. Our plan was to put a sniper on the ground upriver from Silka. As he approached the sniper, the two helicopters would converge, with Silka facing troopers in three directions. Our operational order, given by the Lt. was to shoot him if he did anything other than stop and put his hands in the air. As we proceeded, the second helo diverted to check a man standing on the bank of the river. We spotted the canoe, tethered behind Fred Burke’s riverboat, tied to a tree in a slough off the river. Destiny showed her face, putting the only open landing zone within miles directly in front of Silka’s position. We saw Silka bend over and reach for something in the boat as we flew over and turned into the wind to land. The helicopter began its descent, coming into ground effect. I yelled over the radio for Tom to get us up, out of the landing zone, because Silka had a good position below a dirt bank and behind three trees. As we traded kerosene for altitude, Silka attacked. As I write this, I can see the sunlight reflect off the stock of his rifle as he swung toward us. Silka, Troy, and I all firing at the same time; Troy and I firing 55-gr. tracers. Then, Troy fired three shots, I fired a burst of eight or nine, and Silka his first shot. He was using a Ruger #1, single shot, in .30-06. Silka fired again, hitting Troy in the neck. I fired another burst, hitting Silka eight times in the legs, body and head. Both Troy and Silka died instantly. Capt. Lawrence was hit in the face from fragments of the bullet that had killed Troy. I figure the entire shooting lasted two seconds—25 rounds fired, two dead, one wounded, two seconds. After plans, the second thing to fall apart is communication. The net was instantly slammed with everyone talking at once. The captain declared a medical emergency and ordered Tom to break off. I turned to look in the rear seat and realized that the red stuff all over me was Troy. We headed for Manley, leaving the second helicopter to land and deal with Silka. They knew shots had been fired but nothing else. They ventured into the unknown; Dave threw the SSG into the brush and drew his handgun, given the range of 15 yards. The Lt. covered him with the M16 as they approached Silka’s position, where they found him dead. We underestimated our opponent! All of us on the SERT team were military veterans, many with Vietnam combat experience. 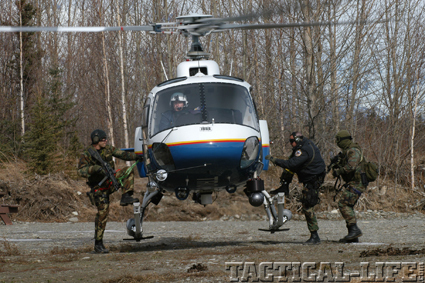 We had black clothing, Velcro, ballistic nylon, machine guns, helicopters, and were S.W.A.T guys. Silka was “just some **** from Chicago”; he’d crumble when we showed up. The problem was that Silka wasn’t impressed. He was a dead shot, was in tremendous physical shape, and was motivated—he had nothing to lose. The most dangerous opponent you have is the one in front of you. We lacked essential equipment. We didn’t have noise flash devices at the time. As Hamilton (one of the finest shots, with any weapon, that I know) approached, a couple of flash-bangs thrown into Silka’s position would have been a beautiful thing; gas or smoke would also have been options, but we weren’t carrying either. Snipers need a good back-up weapon. S.W.A.T. situations are usually fluid, dynamic, chaotic and change rapidly. As at Manley, your sniper may suddenly be the point man or rear guard. He should have a good SMG or similar weapon available when the plan falls apart. We need to train. I was fortunate that I’ve spent a lot of time shooting from helicopters. In addition to military experience, I’d been doing a testing and evaluation on patrol rifles. 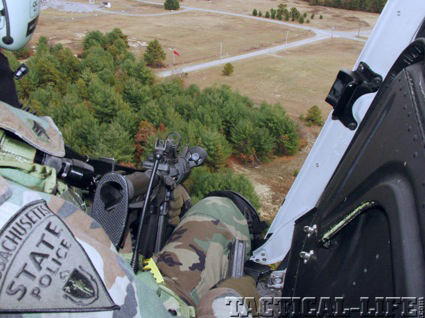 I’d recently shot a lot from moving helicopters, taking a test rifle with me on every flight we made. Lots of empty sandbars on the rivers in Alaska with no one around made it no big deal to shoot a few magazines at targets of opportunity. That, and a lot of luck, is why I’m alive. The Massachusetts State Police realized the need for this type of training and had me instruct a class. There are no shortcuts! You can’t buy a video, or a book, or a piece of gear that will replace good-quality training. To prevail in combat, you have to train hard, under a good instructor. For training, I go to folks who have won fights. I started under my father, a three-war, eight-Purple Heart veteran. Later, I trained under Jeff Cooper, Chuck Taylor and Clint Smith. I’m training under Steve Jimerfield of One-on-One Control Tactics to improve my ground-fighting ability. I’m planning future tutoring by Scott Reitz, Pat Rodgers and Louie Awerbuck. Good, hard training is the only way to prepare for the next fight. You must KNOW your equipment. 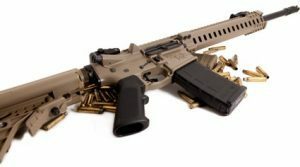 When the bolt locked back on my M16, I felt it and heard it. I pushed the magazine release, inserted a new mag, and hit the bolt release. I did not think about the process—it just happened. 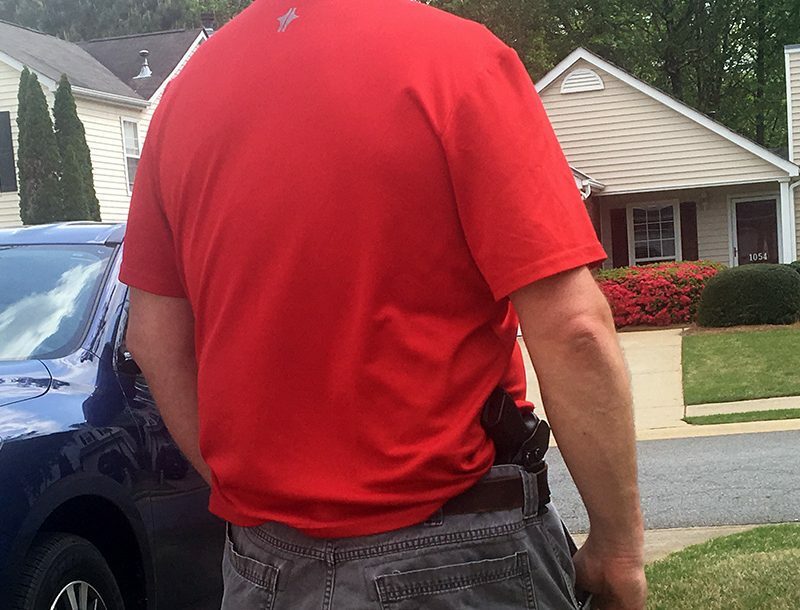 In Japanese, it’s called “mushin”—literally “no mind” or “without conscious thought.” If you’re a member of the gun-of-the-month club, changing guns when you change underwear, you’ll have to think about how to work the gun in a fight. The time it takes to think about it can get you killed. We actually got off easy at Manley. Had we landed, we would probably all have been shot. Silka would have grabbed his ruck and escaped into the wilderness. As other troopers closed in, he’d have set up a hasty ambush and killed a trooper, run, repeated until captured or killed. Losing Troy was really bad, but we got off cheap. Take these hard-won lessons to heart. It doesn’t matter if you’re a police officer, soldier, martial artist, or citizen, follow this advice: As Thucydides said, “He is best who trains in the severest school.” It was true 3,000 years ago, and it’s true today.